Czech MEP Dita Charanzová (ANO 2011) is a member of the Mercosur delegation and Euro-Latin American Parliamentary Assembly (EuroLat). On 5 January, as new President of the National Assembly Henry Ramos Allup was sworn in, the picture of the late leader Hugo Chavez was removed from the assembly, symbolically ushering a new era for the country. The democratic opposition, embodied by the Democratic Unity Alliance (Mesa de la Unidad Democrática- MUD), overwhelmingly won the parliamentary elections held on 6 December, despite the immense and sometimes violent efforts to unfairly obstruct their campaign by the Chavista regime. Their victory marks a strong rejection on behalf of Venezuelans against President Maduro and his ruling socialist party. “Twenty-first century socialism” has clearly failed the Venezuelan people as a project that is both economically unsustainable and that undermines democracy and fundamental freedoms. Human rights abuses that had been occurring for years have only recently grasped international attention. Venezuelan women, that I personally admire, have proven to be the key force leading to this awareness and inspiring Venezuelans to believe that peaceful change is possible. Ever since their husbands were imprisoned for political motives, Lilian Tintori and Mitzy Capriles de Ledezma have ensured that their campaign for a free and just Venezuela is heard globally and reaches the highest levels of government. Former legislator Maria Corina Machado’s commitment to speak out against the regime lead to her being unfairly stripped of her seat and continuously persecuted. Threats and intimidation from the government have not prevented these women from playing leading roles in calling for justice. Their brave and tireless determination has had a remarkable impact on increasing the visibility the Venezuelan struggle on the international stage. If someone contributed to change, it was certainly them. 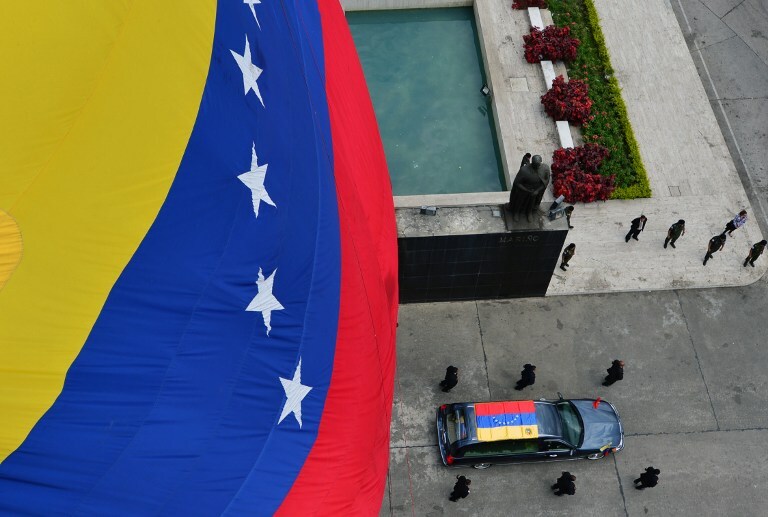 But despite increasing condemnation within Venezuela and internationally, President Nicolás Maduro has shown that he will not surrender without a fight. No longer able to count on his party’s traditional ally, the military, for support, the government has begun to try all institutional means to overturn and subvert the popular mandate granted to the MUD in what has been called a “judicial coup”. Elected legislators from the opposition have been barred, communal assemblies have been created to undermine the powers of the new National Assembly, 13 Supreme Court judges loyal to Maduro were appointed at the last minute and the National Assembly was stripped of its powers over the Central Bank. All this has been done in just one month since the elections, marking the beginning of what looks to be a difficult road ahead for consolidating democracy in Venezuela. Change does not happen overnight, as people like me from former-communist countries know too well. Although a space has been opened for the democratic opposition with the momentum of the elections, it will take time before political pluralism can fully breathe again in Venezuela, and for the everyday economic and social problems to be resolved. The MUD need to remain united during these challenging times if they want to deliver on their promises. But the international community can also not forget Venezuela and must actively lend all the support it can. Jesús Torrealba, the Head of the MUD, has recently appealed to the High Representative of the Union Federica Mogherini, among other world leaders, for help and support in this process. Now is the time to take concrete action. The European Union should be leading the calls to restore justice and release political prisoners. The EU must also actively support civil society and encourage dialogue with the reluctant government to avoid a political crisis that could have very serious repercussions. Venezuelans have voted for change and their desire to peacefully break from the past towards new visions beyond Bolivarianism must be respected and upheld. But yes time for a change – lesson learned call in the Marines..